Georgia Pain and Wellness Center (Gainesville) - Book Appointment Online! Georgia Pain & Wellness Center was founded on the belief that our focus should be centered on providing our patients with high-quality, patient-focused comprehensive pain management program. Our objective is to help patients regain and improve their quality-of-life, at the same time providing compassionate care one patient at a time. 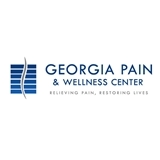 At Georgia Pain & Wellness Center we are trained to use state of the art treatments for pain which include medications, pain-relieving procedures and rehabilitation. Next, we work together as a doctor-patient team to restore the patient's physical, emotional and spiritual well-being. We strive to see you within 48 hours.